- We recommend great jobs to you based on jobs you are looking for, along with your profile, skills, and work experience. - Fine tune your recommendations by saving jobs you like, and crossing out jobs you do not want to see. 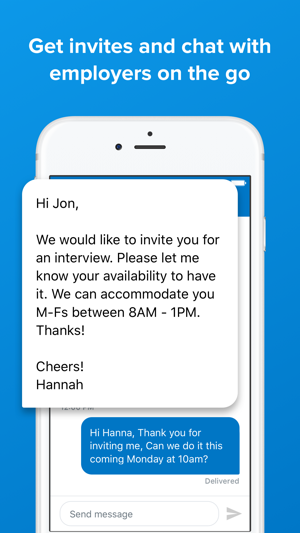 - Immediately get notifications regarding the state of your job application wherever you go. 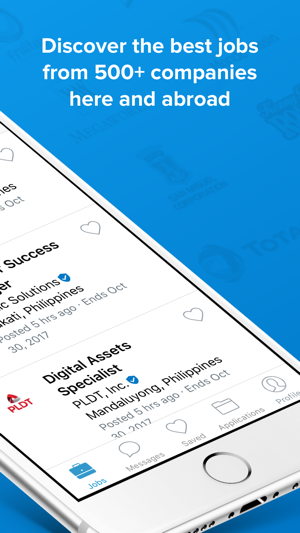 - Companies on our platform will use Kalibrr to view your resume, invite you to apply, schedule you for an interview, and hire you for the job -- so all you need is the Kalibrr app! - You only need one profile to submit your application to all job listings on Kalibrr. - Start a great conversation with your future employer. - Get notified of new messages, so you can respond lightning fast. 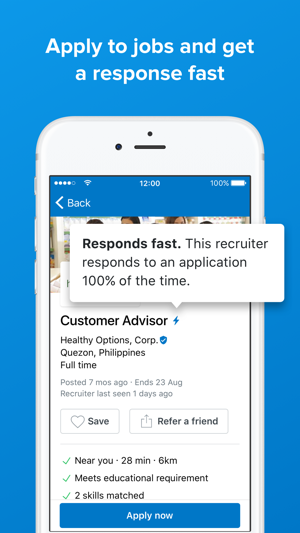 - Find companies who respond fast. - Instantly fine-tune your job search based on job title, location, company, salary, keywords, industry, function, and level. - Your Kalibrr profile becomes an amazing resume designed to impress companies. 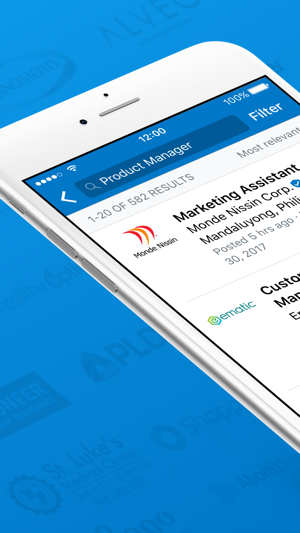 - Download your resume or CV as a PDF file and share it directly from the app to any employer email address. 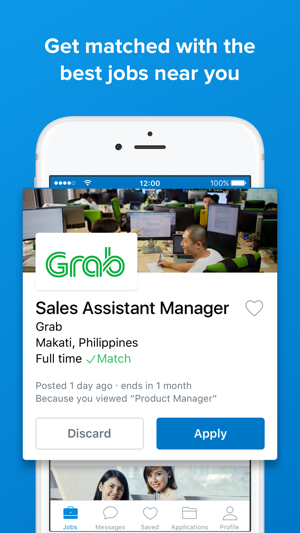 Kalibrr is the fastest-growing jobs platform in the Philippines with more than 5,000 customers worldwide. Our vision is to connect talent to opportunity. We want to deliver the best experience to you, so email us at mobilesupport@kalibrr.com if you have any feedback for us! I noticed that the app itself logs me out more than three times now, and it only told me why once and that was apparently because of inactivity. I find that absurd because I was actively using the app not more than 12 hours ago. Don’t tell me I have to use the app every few hours to not log me out. I know it’s not much of a major flaw, but it eventually became taxing. The user experience is quite nice and easy to use but whenever I upload a profile picture, it doesn’t get uploaded or saved. It’s stuck with a loading icon. Virtually it notifies “saved” but the picture is missing. Please fix. Thanks!